Right now I have a ginseng sleeping mask that I just got from sephora on my face and I got to say, I really love these sleep masques. I definitely prefer them to those papery ones that I used to like so much. I also like that they are milder than stuff you peel off in 15 minutes. (PS Gigi, I bought that and a sleep mask kit from Korres with my VIB coupon). Usually I’ll go through a cycle of liking a mask and then getting sick of them. I have pretty normal skin without any breakouts and get anti-aging properties mostly. They just feel nice. And so these are some of my favorites or things that are the current iteration of things I love. Add your own! 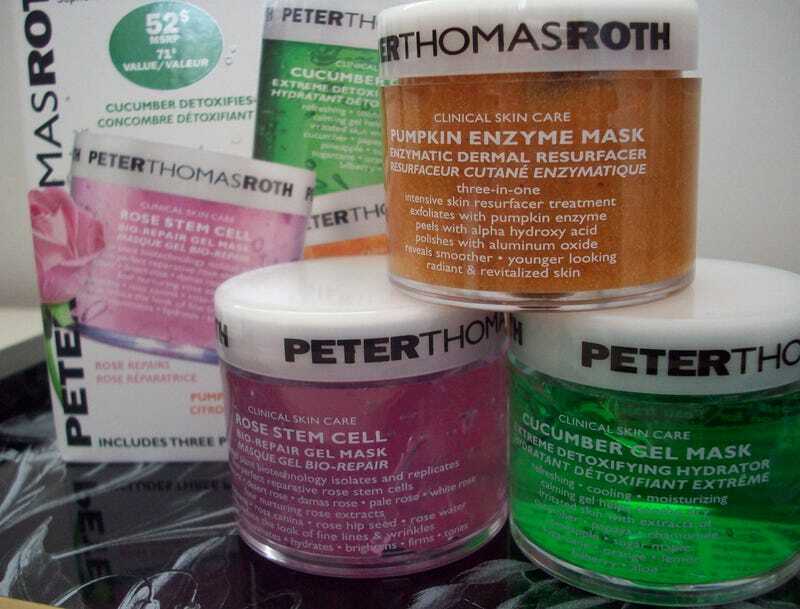 I used to be a sucker for anything with an enzyme, like Ole Hendrikson’s masques (all their products are great), especially this blue and blackberry mask or the Pumpkin Enzyme Mask by Peter Thomas Roth (another favorite brand). There used to be another brand that I LOVED called Astara and I used their Violet Flame Masque and swore by it. I can’t find it as much anymore. I kind of want to buy this Wei masque. I wonder if anyone has used it. It reminds me of stuff I got from Princess Marcella Borghese or that Glam Glow or about a million other mud masks. Then I got into masques that I could whip up in the kitchen and when I didn’t want to wear yogurt, I’d try to find something super moisturizing, especially in the winter. I’m like an addict of shea butter and cream. My favorite brands include Germaine du Capuccini, which I used to get at a day spa that’s closing soon :/ But otherwise, I might get something from Caudalie. As far as those masques that you get on slips of paper,I’ve tried many and like them. I like Dr. Jart’s and Sephora’s brand and recently, got something from Glossybox called Florapy, which is all natural and I think a subscription based service (where they send you a certain amount of masks a month). I liked it. It felt good but I’m not sure about the monthly thing. Now what about YOU? Oh and I LOVE spas. I am not a rich lady. But I still love them. Alas.